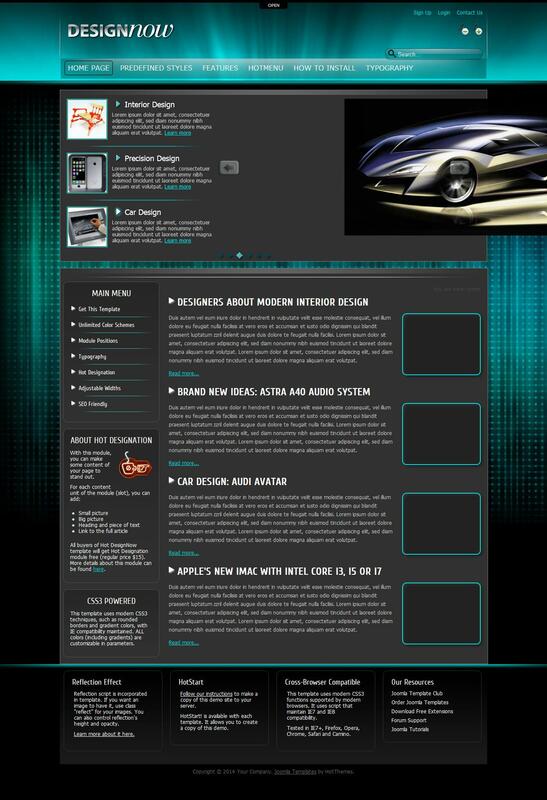 HOT DesignNow - stylish website template developers HotJoomla, allows you to create a website of any subject and complexity. Has a comfortable and versatile layout and set various professional modules, allowing easy to become a corporate template, blogging, business or news resource. Thanks to a well optimized code pattern has a high speed of loading pages and includes a handy modular design that allows you to customize placement of modules according to the requirements.